Stocks ended last week higher as volatility slowed, completing their best quarter since 2009. A Friday tweet from Treasury Secretary Steven Mnuchin encouraged investors, referring to “constructive” discussions in the ongoing U.S.-China trade negotiations. The S&P 500 gained 1.27% for the week. 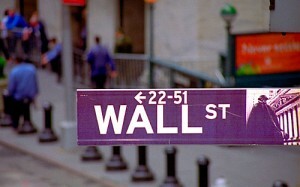 The Dow Industrials and Nasdaq Composite both exceeded that advance: the Dow rose 1.60%; the Nasdaq, 1.42%. One of the ride-share pioneers, Lyft, closed on its initial public offering (IPO) on Friday, and a glance at the IPO calendar shows that as many as 226 companies could soon go public, with Uber and Airbnb possibly among them. This IPO wave may be a signal of a market top, or it may point to a comeback for risk appetite, which could be healthy for the overall market. Should some big-name IPOs stumble, it may deter others from moving ahead, which may influence the market psychology. Conversely, an enthusiastic reception may help support further market advances.